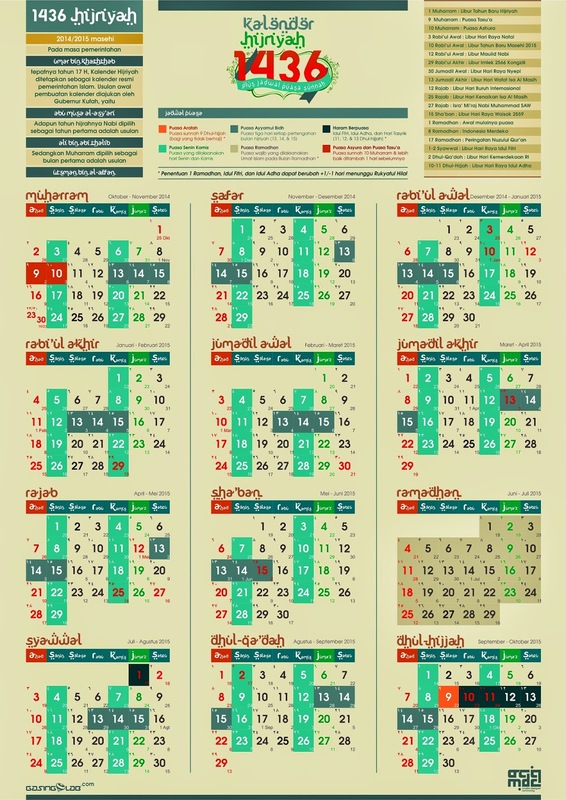 For muslim people who want to have the Islamic calendar, please download this calendar, may be useful, amen. 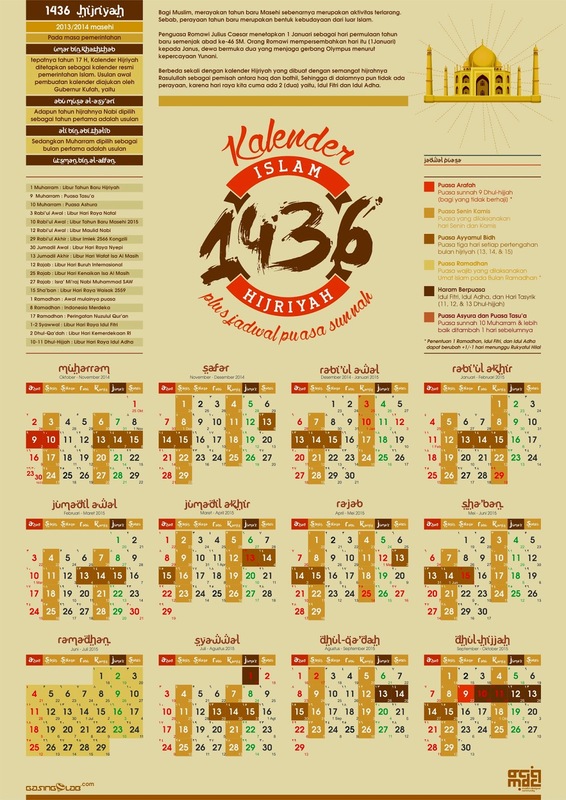 design kalender berikut, beberapa kalender ini juga ditambah dengan jadwal puasa sunnah, semoga bermanfaat, amin. 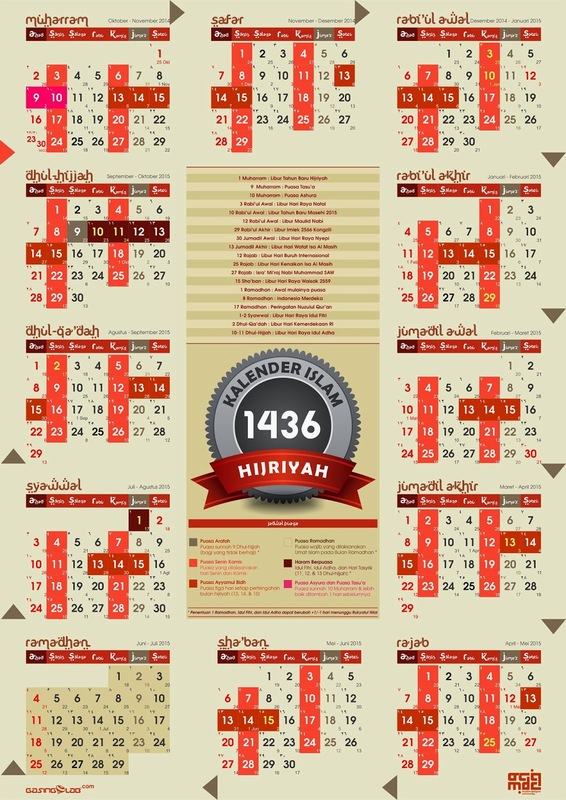 Overview of the beginning of the establishment of Hijri Calendar. 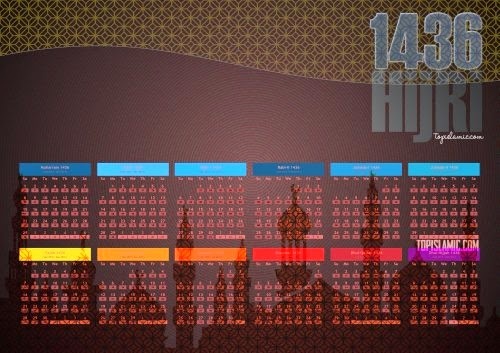 In the reign of Caliph Omar precisely in 17 Hijri, defined as the Hijri Calendar Islamic government official calendar. 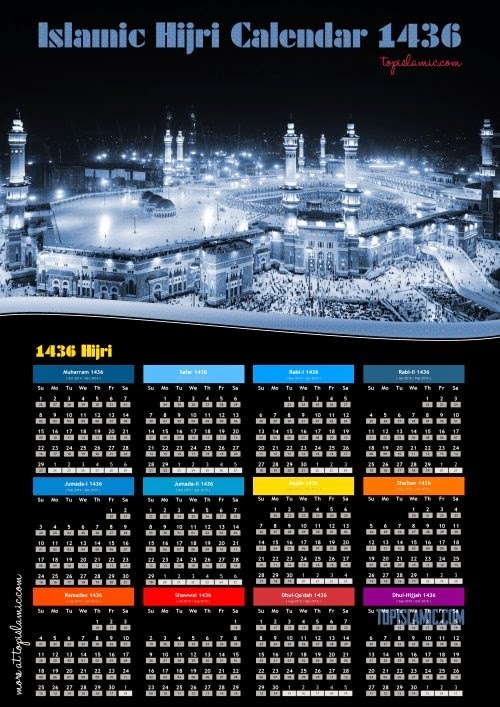 Initial proposal of making the calendar proposed by the governor of Kufa (Iraq), Abu Musa Al-Ash'ari. As for the migration (hijrah) of the Prophet Mohammad chosen as the first year is the proposal of Ali ibn Abi Talib. While selected as the month of Muharram is the first proposal of Othman ibn Affan. 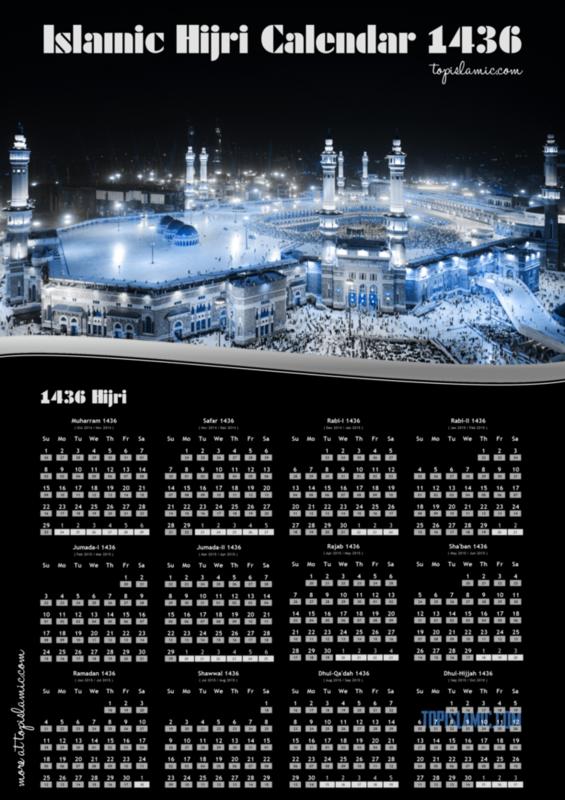 Printable and Downloadable Islamic Calendar for each country of the world. 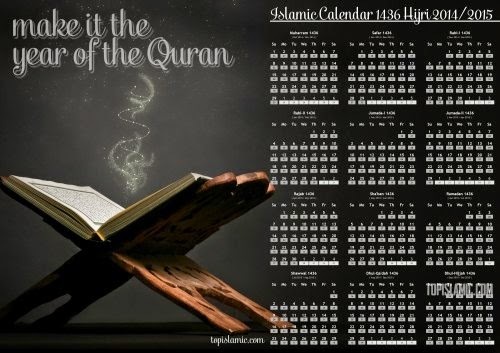 all Islamic events have been marked on this calendar.